Gilbane’s award-winning safety pro­grams ensure that security is never compromised. 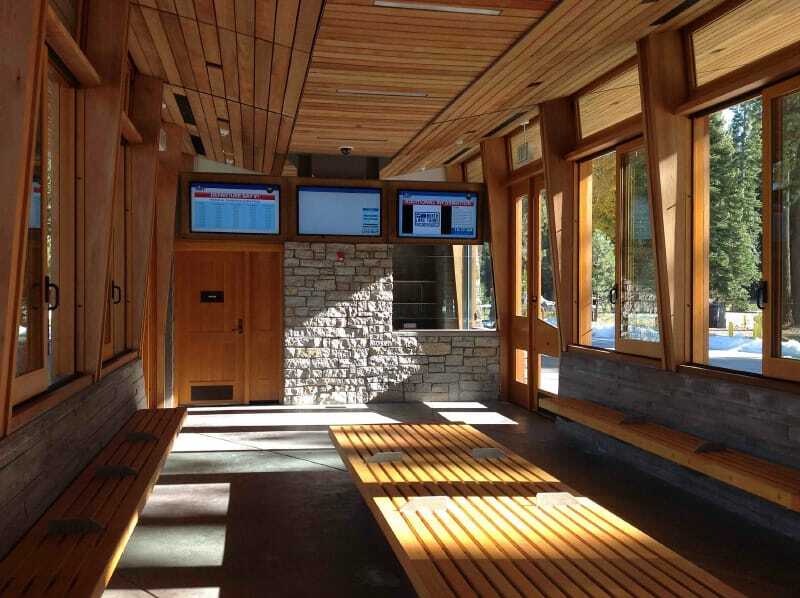 Gilbane provided General Contractor services for the Tahoe City Transit Center (TCTC) in Tahoe City, California, at the gateway of North Lake Tahoe. The Tahoe City Transit Center is located in the eastern portion of Placer County near the shores of Lake Tahoe. 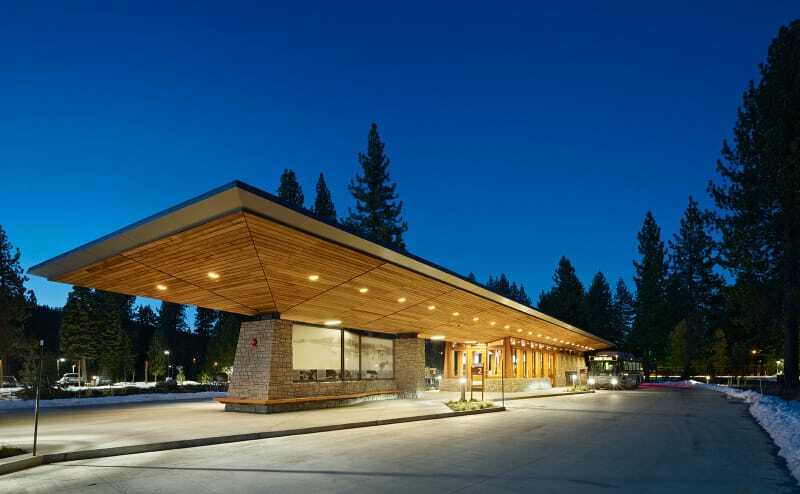 Specifically, the project is nestled onto U.S. Forest Service-owned land near the intersection of Highways 28 and 89 in Tahoe City, California. The Transit Center including the parking lot and access roads covers about 2.5 acres and serves as a hub and transfer point for Placer County’s TART buses. The Center is situated adjacent to hiking and bike paths allowing for easy access from different modes of transportation. 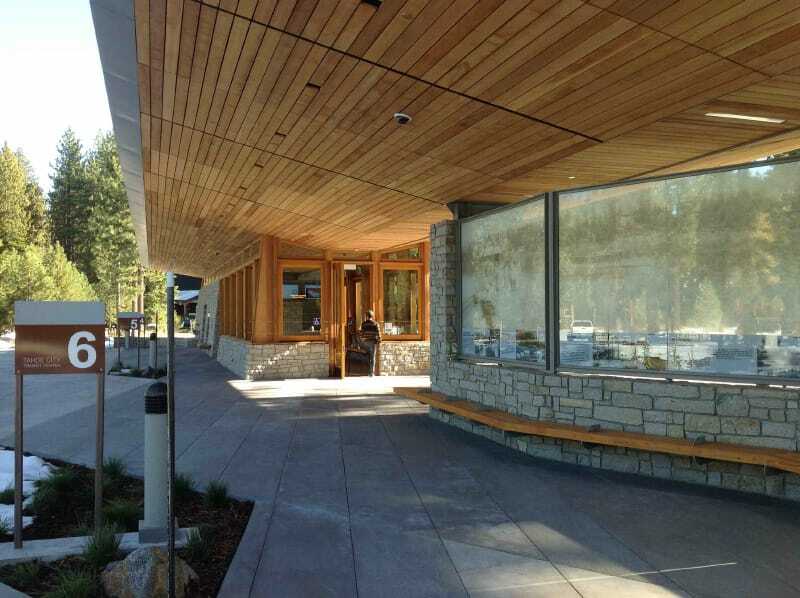 The project included a 5,900 square-feet transit center now signifying a more sustainable transportation network for the basin in the North Lake Tahoe Area and houses restrooms, administrative space, and an enclosed waiting area which can accommodate up to 40 people. 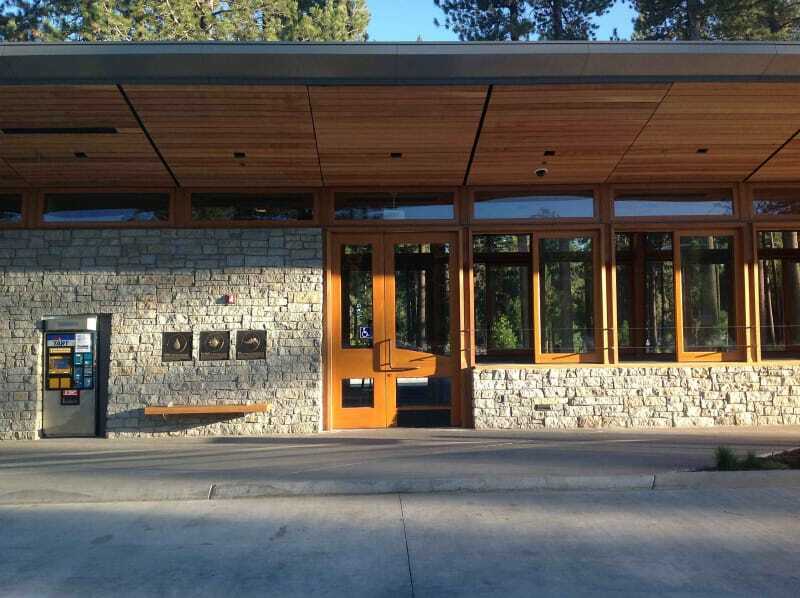 The Facility also included parking for 130 cars, a bus loop, built-in bike lockers and landscape native to Lake Tahoe. A snow melt system around the edge of the roof gradually melts the snow, and a rainwater harvesting system collects the water in gutters, stores it in a 4,000-gallon cistern, and reuses it for irrigation and toilet flushing. The building conserves energy in a number of ways. Laminated solar cells are integrated into the roof, supplying most of the facility’s peak load. Operable windows and a clerestory facilitate natural ventilation. Thermally massive walls, high-performance insulated glazing, and radiant heating further reduce energy consumption.